Welcome to YEG Live! If you’re on this page instead of perusing listings or buying tickets, you must be interested in finding out more about the people behind this site. Here’s the thing about founders Cameron Gertz and Chris Martyniuk: They keep aiming at one thing and hitting something better. They aimed for a renovation project and ended up with a restaurant. They aimed for a nice place to hang out and ended up with a live music venue. They aimed for more accurate listings and ended up with an entertainment website. They aimed for a more efficient way to sell and ended up with an e-ticketing business. Now they oversee a thriving startup that tickets hundreds of shows a year and lists thousands of gigs large and small. Their business has expanded beyond Edmonton all the way out to Atlantic Canada, and is poised to spread throughout the country, boosting the arts scene wherever it goes by making it as easy as possible for patrons to find and pay for live entertainment. 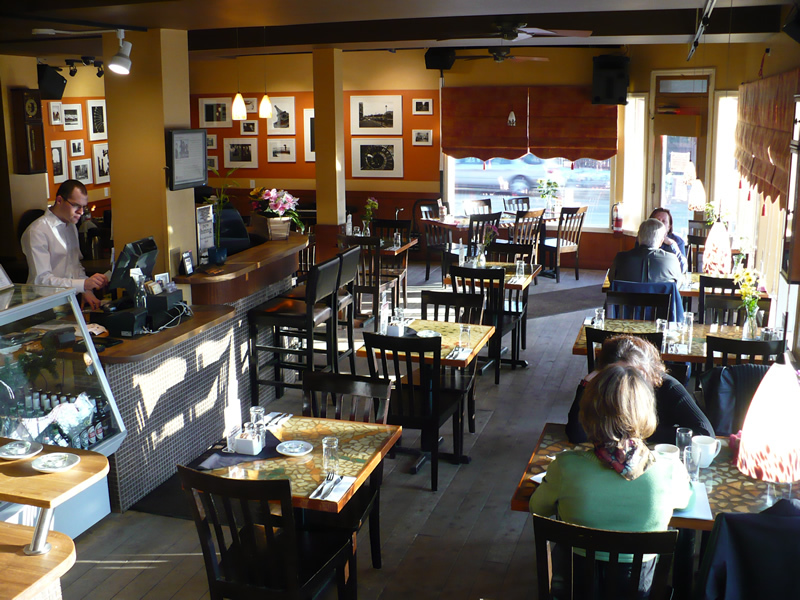 It started with Hulbert’s, a restaurant in Edmonton’s Belgravia neighbourhood named for a civic leader from back in the days before Strathcona was part of Edmonton. Chris and Cameron had originally intended it just as a renovation project and then to be silent partners in the operation, but decided it would be good for them to be an active part of running it as a community space. While they were at it, why not have jazz? So they brought live music in, and treated the musicians well — so well, in fact, that a growing number of musicians wanted to play in this place where they were paid, fed and promoted. Hulbert’s offered more live music, started charging cover, and got more requests for bookings. Chris put his information technology background to work and created a website to handle the growing amount of data coming in. Soon some of the artist bios on the site were ranking higher in search engines than artists’ own websites. Rhea March approached Cameron and Chris to host a weekly open stage, which they podcasted, attracting all kinds of up-and-coming (and already arrived) songwriters. The atmosphere they cultivated was so comfortable that sometimes customers would forget to pay when they left. Luckily, it was also intimate enough that Cameron could track them down and gently remind them of the bill. After three years of learning, having fun and not making a whole lot of money, they decided to get out of the restaurant business. But they wanted to keep recording Rhea’s open stage and needed a place for the podcast to live. They knew from bitter experience that there was a need for better listings, curated and corroborated to ensure accuracy. They knew smaller venues needed help with promotions. And they knew they had built a good reputation among musicians and patrons as honest brokers. 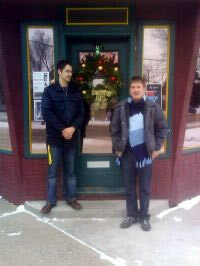 So in October 2009, they registered yeglive.ca. A good idea, but what was the business model? Advertising? No. Subscriptions? No. Upselling features on pages for artists and venues? No. E-ticketing turned out to be the answer. At Hulbert’s, they had discovered that selling advance tickets ensured better attendance and stronger food-and-drink sales, and made the artists and promoters happier. So they had a simple ticketing system on the Hulbert's site. By early 2010, YEG Live had a fully beefed-up ticketing system based on 2D bar codes that could be read by devices any venue would have access to, not just the specialized machines some other vendors were selling. 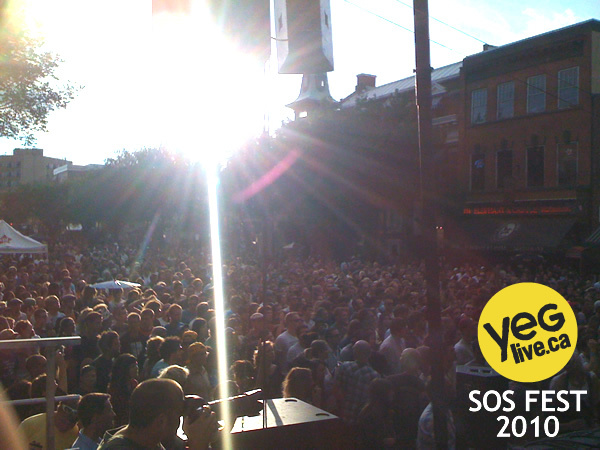 A huge test of the system came in 2010 with SOS Fest, a weekend-long music festival along Whyte Avenue. It was the first big e-ticketed event in Edmonton, and it demonstrated to audiences, venues and musicians that it was a viable way to help put on a show. The SOS Fest operation was a machine with a lot of moving parts, but it worked, and Chris and Cameron learned a lot that they have since applied to other festivals such as the Edmonton International Film Festival and Open Sky Music Festival. Cameron and Chris strongly believe that the way to support the arts is to make it easier for the demand to connect with the supply. Their mission is to make it as simple for customers to see live music as it is for them to attend pro sports or watch a Hollywood blockbuster. And YEG Live is the means to that end. So what’s next? That’s hard to predict, since they have never ended up quite where they thought they were headed. It’s like walking the West Coast Trail, Chris says: The way is challenging, and you can’t see what’s ahead. All you can do is put one foot in front of the other and find your next step. Throughout it all, however, they are guided by principles that never change. Treat people with honesty and respect. Remove barriers. Provide top-notch service. And keep improving.